Direct your families and/or students to Advent Prayers and invite them to pick a prayer. (Note: Here are other prayer links – Children Pray: Advent and Christmas or A Prayer for Lighting the Advent Wreath. As a family, invite all to pray this prayer together. Go back and highlight and copy the text of the prayer that was just prayed. Click on “Create Your …” link or the “Create” tab. Paste the text into the “Paste in a bunch of text” space. Your screen will look something like…. If you like the word arrangement as it is great! If not, you can adjust text, colors or word arrangement by clicking on menu bar text “Font”, “Layout”, or “Color”. When you like your arrangement, then do a and paste into MS Paint or any other graphic program you may have to create a *.jpg file. 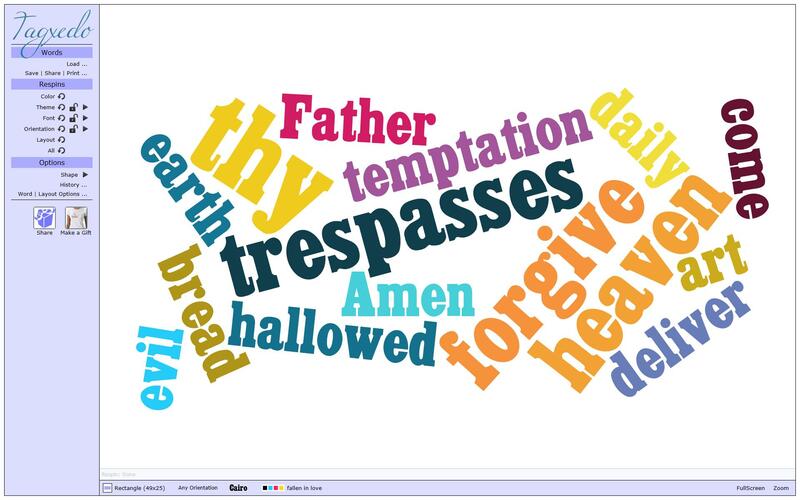 You may want to crop your image so that you are just showing the Wordle! Ask them to email the graphic to you. 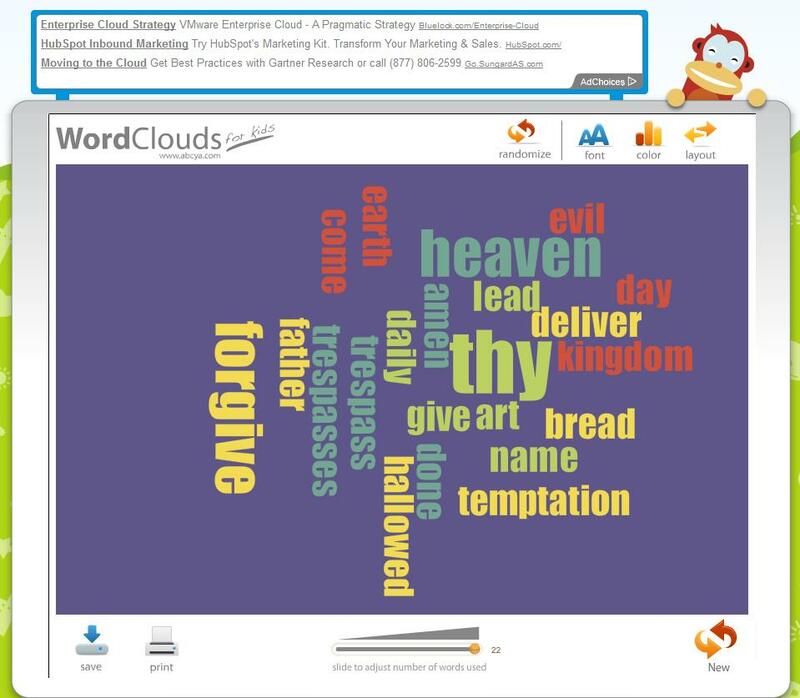 Once you have the files you can add them to your class website or create a collage of Wordle Prayers. Add the images to a class prayer PowerPoint. 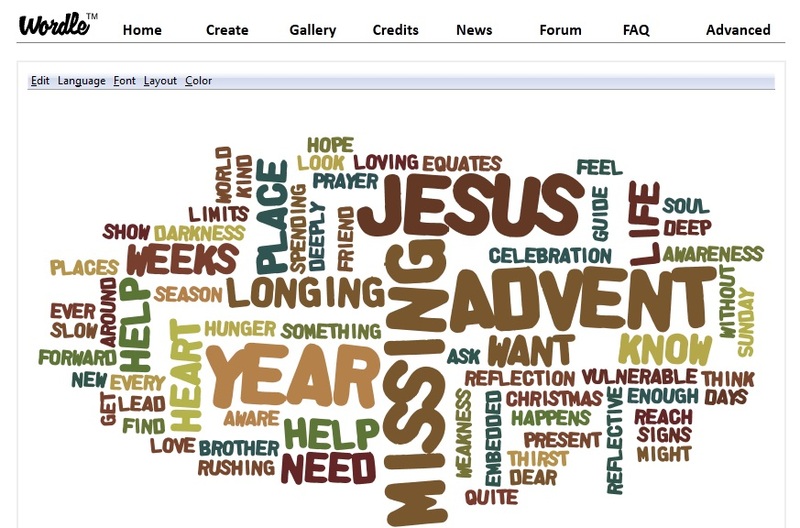 With an Advent song playing in the background show the Wordle Prayer images. Invite your students to identify ONE word on each slide that stands out for them. You may want to have a worksheet for them. 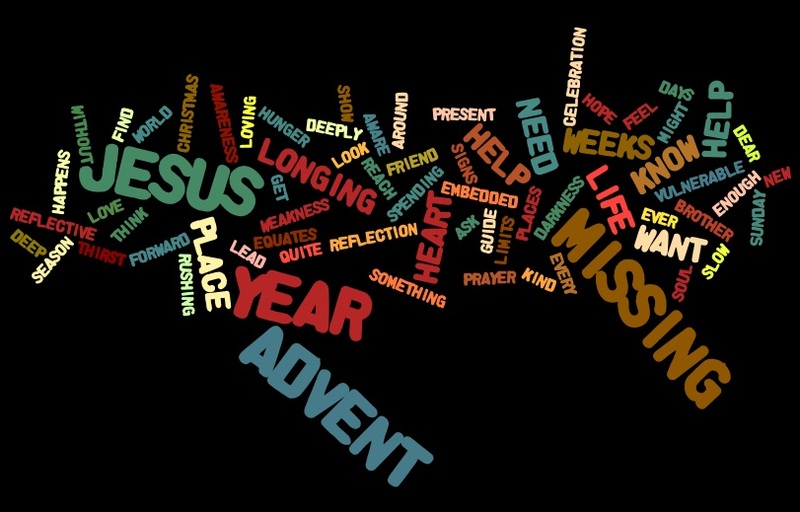 Then ask the students to create a SHORT Advent prayer using any five words they have identified. Brief prayer – Jesus this Advent we are experiencing darkness, we are longing for you to be our brother. If you are not sure how to do the “tech” part of this prayer experience, remember that many of your high school students are very comfortable with these tools, you may want to ask one of the high school students to work with you to create the PPT, or add the images to the class website, or whatever else you may want to do. Remember, they love to be your coach so that you can learn how to use these technology tools. 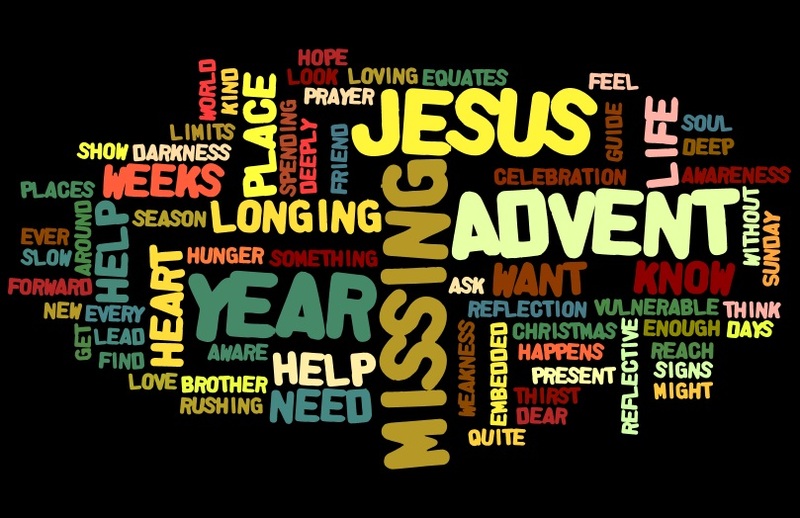 If you have other ways that you are planning on using Wordle with your students during this Advent season, we’d love to hear about them. If this was helpful to you, please click the “Like” button. For those who are members of the Digital Catechesis Network when you search the video collection with the “prayer” tag you will find wonderful resources that can enhance your prayer experiences. Many of these resources are on YouTube. I would encourage you to search YouTube for the gems that would be a wonderful addition to your prayer experiences. Together let’s explore and find the videos that we can use to enhance our prayer experiences. If you would like to join Digital Catechesis, please click on the link and click on the join button. You will be able to locate videos that others have found to be of value to them or you can add your wonderful find to the group. There are many wonderful videos on the YouTube network, that are FREE. Even if you do not have the equipment that you need to display them in your classroom, you may email the link to your students and families via an email or embed in a blog post or who knows what other options you have! You can use these videos to enhance what you are doing in Faith Formation with your students, youth, and families. I’m facilitating the Summer Institute for Technology and Ministry this summer in the St. Petersburg Diocese. We’re having a wonderful time learning the culture and language of the ever evolving Digital World that surrounds us. Just wanted to share a couple of the prayers that we have used in our sessions. who is the gift through whom You give us conversation. in the heavens you have made the tweet short, quick, and easy. by which You cherish the photos of what you have gifted us with. filled with family and friends, news, and connections all across the globe. Caroline Cerveny, SSJ-TOSF created this contemporary take on St. Francis’ well known prayer, Canticle of the Creatures. living pure and blameless lives in Your sight. Bless + this cell phone. and lead all who receive them to give You praise. and bring those we connect with closer to You. and ask this blessing through Christ our Lord. This prayer is adapted from the Family Blessing. and made countless converts by your Christlike kindness. and inspire them with your zeal for spreading truth.